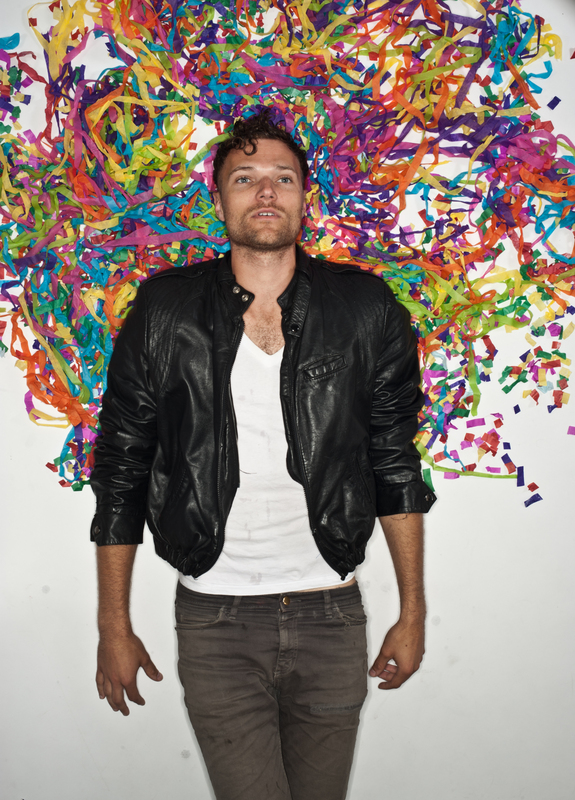 Rich Aucoin’s performance is a spectacle – one that includes everything from a parachute, to confetti guns, to contagious dancing and singing. That spectacle is coming to Edmonton on Tuesday, November 8th, with Arkells. I saw Aucoin open for Lights at Edmonton’s Utopia Music Festival in June where he absolutely electrified the crowd. Although the Utopia crowd had been engaged with the performances prior to Aucoin’s, and took a bit of coaxing to get into the “dance floor” – the moment when the individuals in the crowd lost all sense of self and merged into a group of people sharing a collective experience was a rare experience. We’re always told that “group mentality” or “group think” is a bad thing, and that we shouldn’t fall prey to it. However, Aucoin’s performance, proves this sentiment isn’t always true. Sometimes it’s fun to lose yourself in the crowd. Sometimes it’s life-changing. And in any case, it’s a specific point in time, that you and only a maximum of 1000 other people (what Wikipedia tells me is the capacity of The Starlight Room) experience. Maybe you won’t talk to anyone else who goes to the concert. But when you’re in the middle of the crowd, dancing and singing along to Aucoin’s impossibly catchy pop music, there will be a moment where you look around and look into the eyes of the stranger next to you. And my bets are that you’ll see pure ecstasy (not the drug). That moment is why I’m going – I want to look into your eyes, and see the ecstasy I’m experiencing reflected back at me. RICH AUCOIN @ STEAM WHISTLE UNSIGNED from untold city on Vimeo.